Today’s article is dedicated to noticeable January campaigns related to transport area. 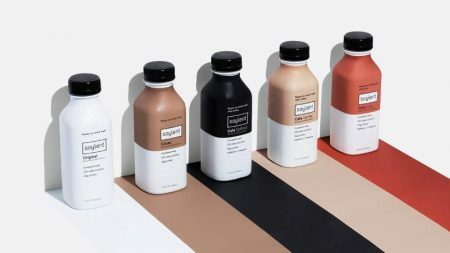 What brands do to become conspicuous not only in digital but also in reality – three most interesting examples are below. 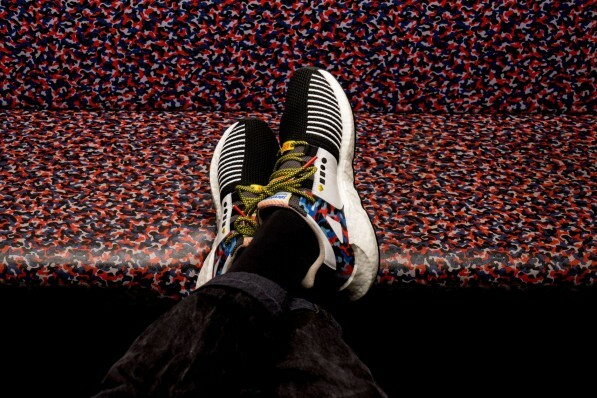 In this month BVG, the system of public transport in Berlin, provides free pass in the subway, buses, trams, ferries to those who will walk in special sneakers from Adidas. Important condition: sneakers surely have to be standing, footwear in a package doesn’t provide a free pass. EQT-Support 93/Berlin is the limited collection: only 500 couples could be bought in the Adidas’ shop and in the Overkill in Berlin. Because of such small amount of new sneakers, huge turns were built in shops. 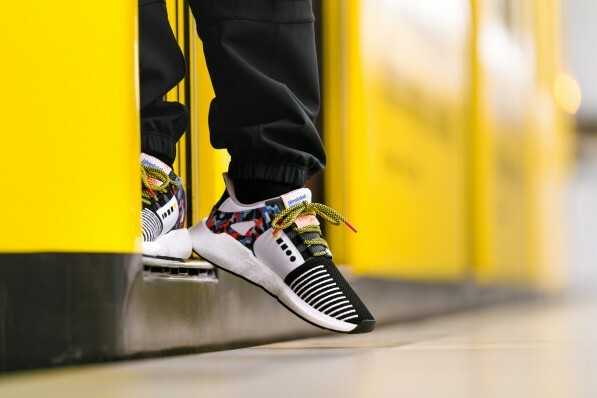 The main concept of the collaboration between Adidas and BVG is a simple and important idea: the city is its inhabitants. 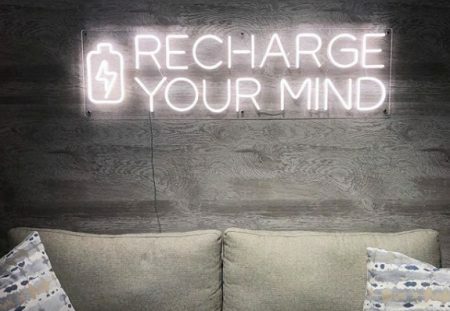 According to the Senior Director of Adidas Originals Till Yagla, Berlin plays a very important role not only in street culture but also in a formation of the brand. The BVG company not just provides public transport, it unites people with each other. For this reason, Adidas was inspired on the creation of the new collection of sneakers in Berlin. Till Yagla’s words are confirmed by the slogan of BVG – “Because we love you”. 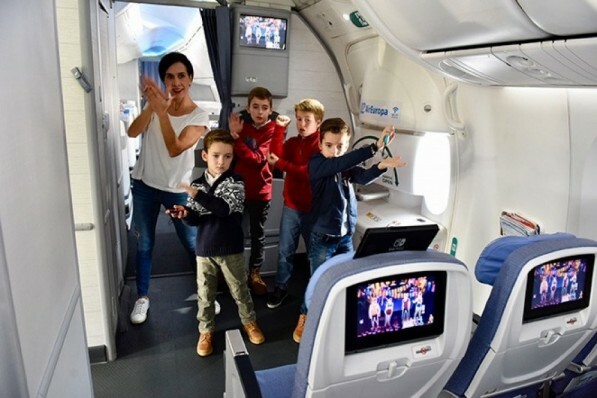 While Berliners rejoice to the new travel card, all who flew at the beginning of January from Madrid to Las Palmas de Gran Canaria by Air Europa have had an opportunity the first to test popular entertainment at big height. 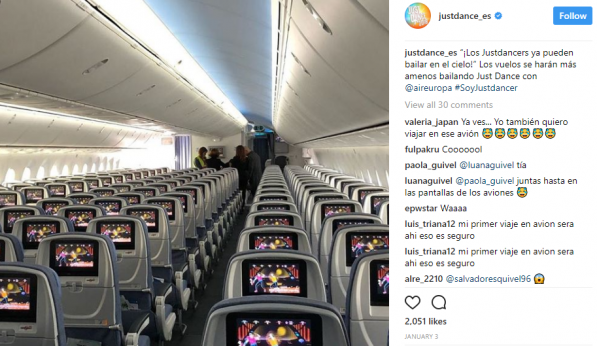 The Spanish airlines together with the Ubisoft company have suggested passengers dance during flight in the most popular play – Just Dance. Such entertainment perfectly lightens the mood not only to participants of the game: the passenger repeats the movement of dancers on the screen not always perfectly, thanks to this the atmosphere becomes cheerful all around. Dances in the air became a good way for communication of passengers with each other. The emergence of Just Dance aboard is a revolutionary step. Now everyone who will depart flight of Air Europa with a possibility of using Just Dance will remember this trip as one of the most unusual. 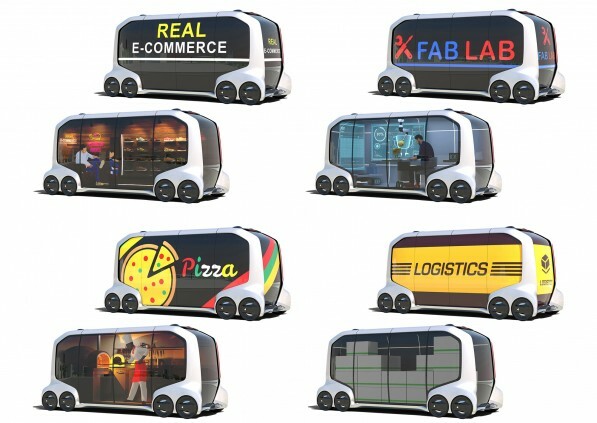 While Spanish airlines entertain their passengers, the Toyota Company has presented the surprising bus E-Palette at the exhibition of electronics CES 2018. The bus is controlled by a smartphone; therefore it is not necessary to spend more force and energy for a trip as the driver. 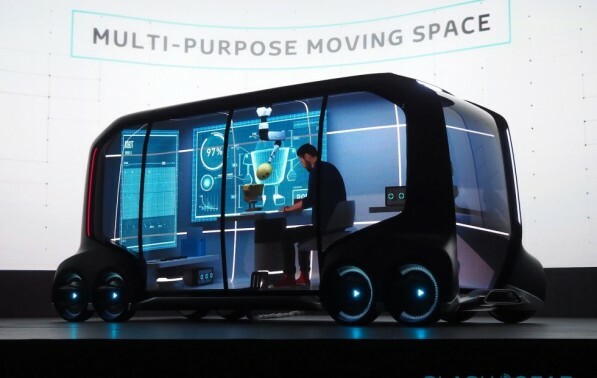 The inside of the car is remade to the taste: it can be a small house or office on wheels. The most interesting part is doors-display which can broadcast any advertising, photo, and video. Such brands as Amazon, DiDi, Mazda, Pizza Hut, and Uber have already signed contracts with Toyota and became participants of business community E-Palette Alliance. E-Palette will begin to work completely in 2020 at the summer Olympic Games in Tokyo. Toyota is developing 3 versions of the car differing by the size, but all options will be discussed with partners. Posted in Marketing, Travel and tagged airlines, transport. Bookmark the permalink.